Ayoka is a business software and C# development company that develops .NET applications for SMBs and enterprise class clients throughout Texas. We provide solutions for all aspects of Microsoft Windows integration, optimization, and modernization. 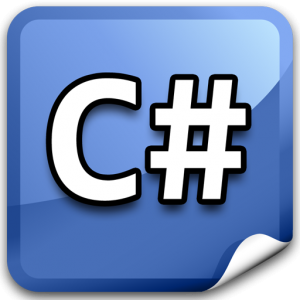 Our team leverages the structured, high-level C# language and VisualBasic in the.NET framework to deliver support for a wide variety of web services. Our goal is to give organizations that rely on MS Windows new ways to derive value from their technology. XML (Extensible Markup Language) and HTTP supports highly interactive websites. Server side code in the form of Dynamic Link Libraries (DLLs) resides on the web server, enhancing performance and speeding code development. Automatic updates and synchronization among all computing devices promotes reduces workload for IT management. Centralized data access integrating SQL Server with SharePoint, MS Office, and other Windows technology with CRM, ERP, and additional business applications adds value to the existing application portfolio. Integrated and unified communications platform streamlines collaboration and workflow. Scalability and accessibility with cloud-based applications for Windows Azure and SQL Azure provides access to unlimited computing power. At Ayoka, we work directly with clients using a collaborative approach to identify the underlying business problems that custom software can solve. We work together to develop user acceptance tests that ensure what we build offers the functionality our clients need and expect. Our commitment to communication and our ability to focus on building lean, agile solutions make Ayoka a top C# development company for 100% Made in USA software. Contact us at 817-210-4042 for an initial consultation at no cost.